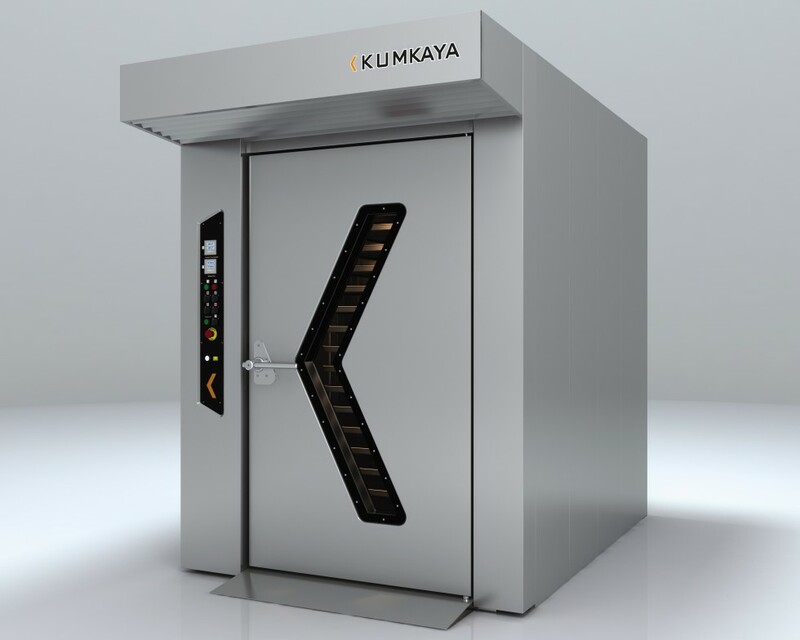 Rotary ovens of the LIDER series of the Kumkaya company have been developed for high-quality product receipt. The height of the equipment has been reduced in order that ovens were more convenient to be used in catering establishments, such as cafe, pastry shops, restaurants, and also in supermarkets. The company has used a number of constructive innovations for increase efficiency and make ovens more practical and convenient in operation. Springing steel sealing is used instead of silicone compactors. Flexible ramp for trucks is replaced with fixed ramp. Thus, there is no risk of failure of the ramp and needs of regular care of it. Losses of heat and fuel consumption are significantly reduced due to two-layer isolation. The powerful system of supply of steam guarantees an appetizing, uniform and glossy crust without additional efforts. The oven is completely made of stainless steel, along with modern design gives it an aesthetic appearance. It is easily dismantled, which is convenient for transportation.